It’s hard to imagine a world without sweet caramel combined with salt. 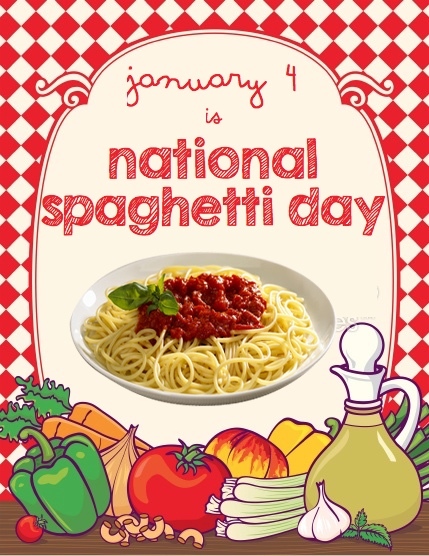 It’s quickly become a favorite flavor combination. The slightly spicy gingersnap cookies with the rich creamy cheesecake and that sweet and salty caramel will make this recipe a favorite at your Christmas party! 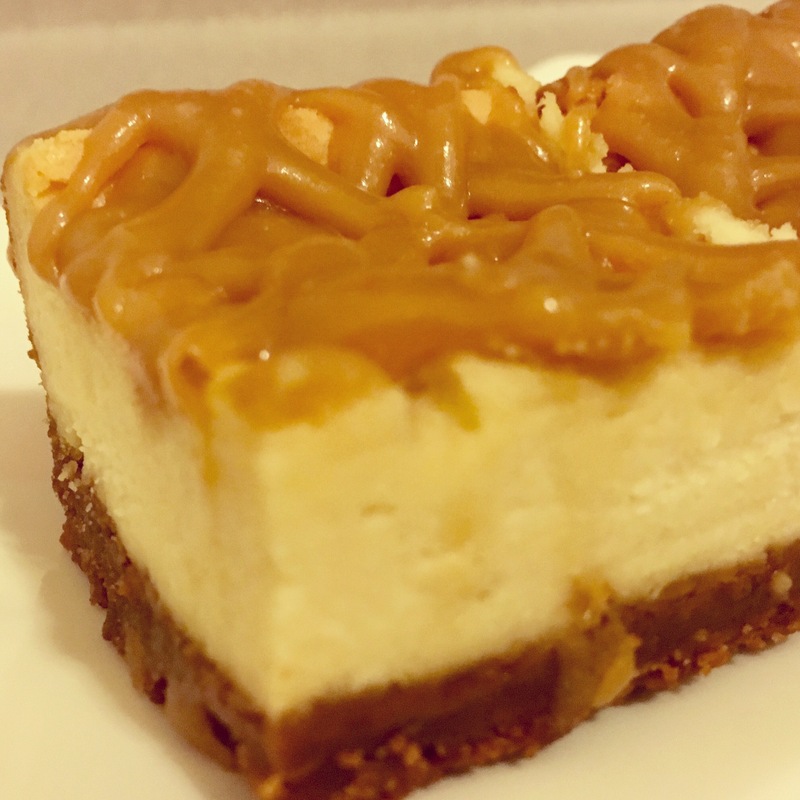 These Salted Caramel Cheesecake Bites were inspired from D.J.’s Aunt Cindy’s Cheesecake Recipe. 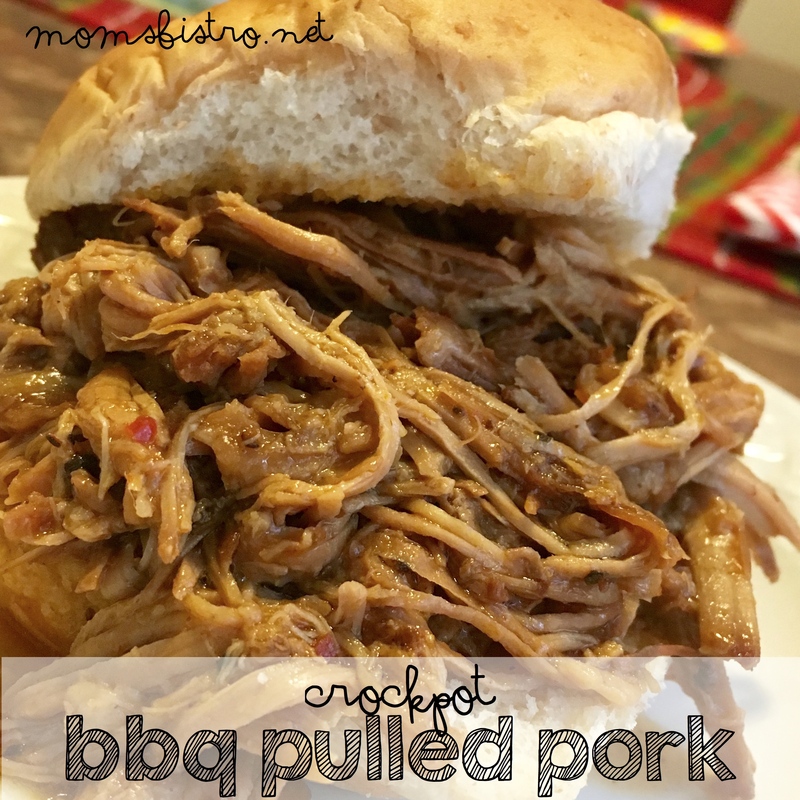 It is one of my favorite recipes, and always comes out perfect – even if you half the recipe. Using the gingersnap cookies in place of graham crackers adds a little bit of spiciness that we always associate with Christmas. If you wanted to make your own salted caramel sauce for this recipe, it’s really easy to do but just takes a little bit of time and patience. Look on Pinterest for some salted caramel sauce recipes – you’ll find hundreds of them. 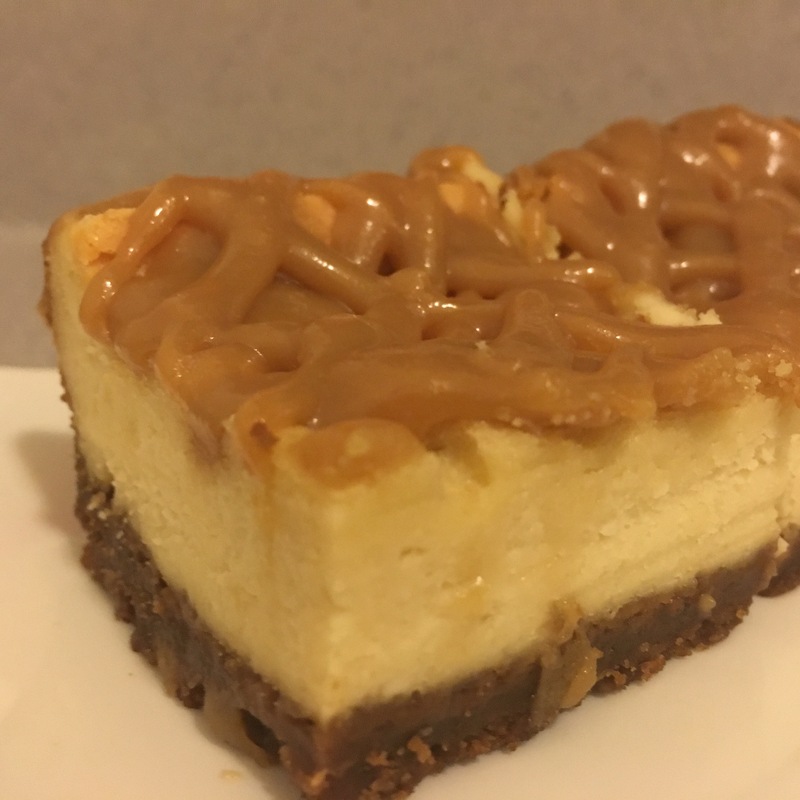 I like to use sweetened condensed milk when I make caramel because of the smooth texture it gives. 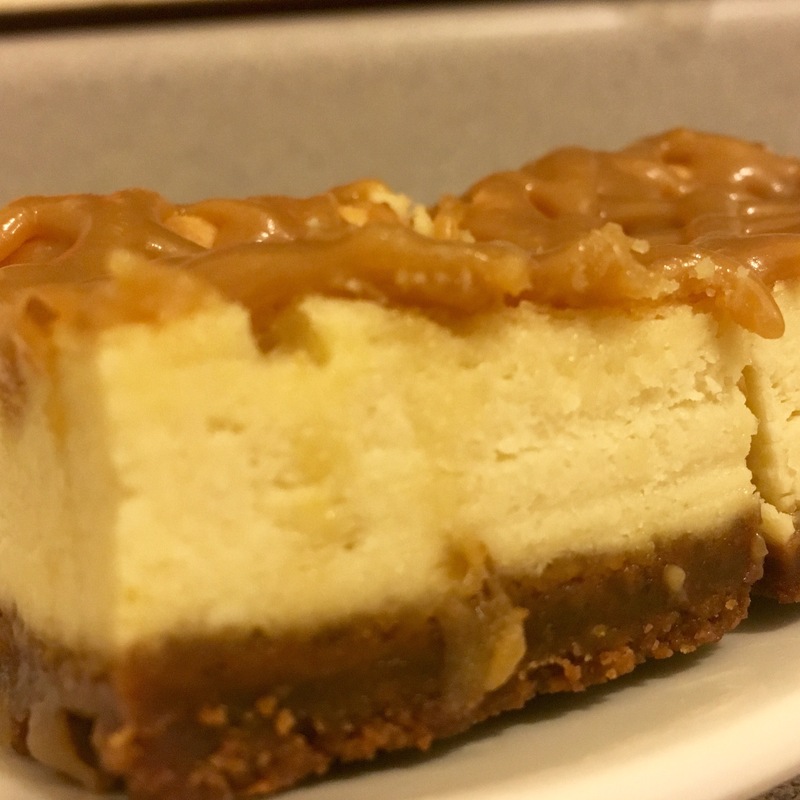 If you really wanted to kick this cheesecake up a notch, you can add some toasted pecans to the top for an extra crunch! 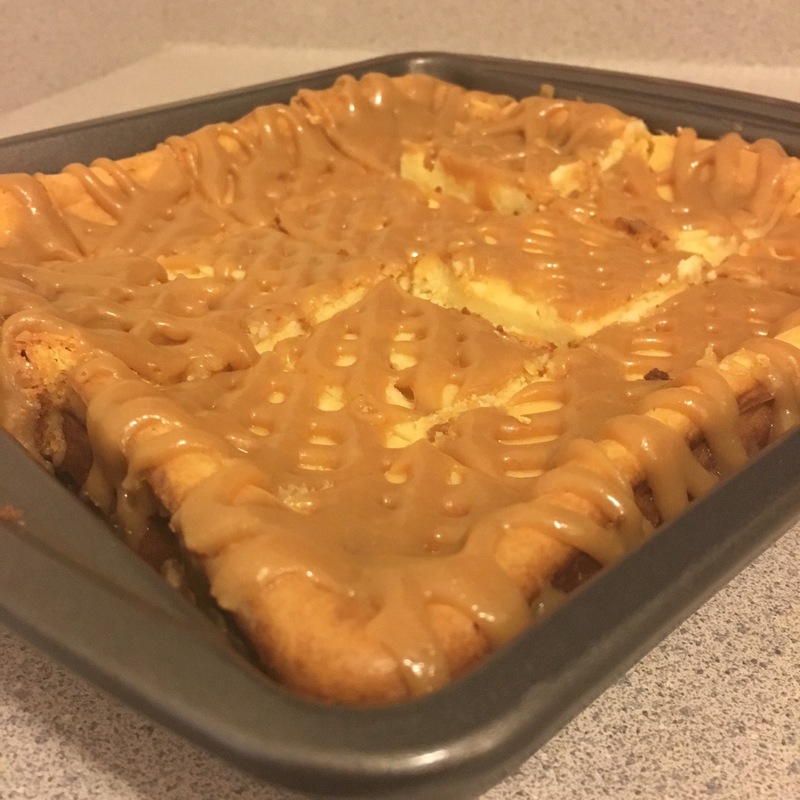 Because I made these salted caramel cheesecake bites instead of a traditional round cheesecake, I used an 8×8 non-stick cake/brownie pan. 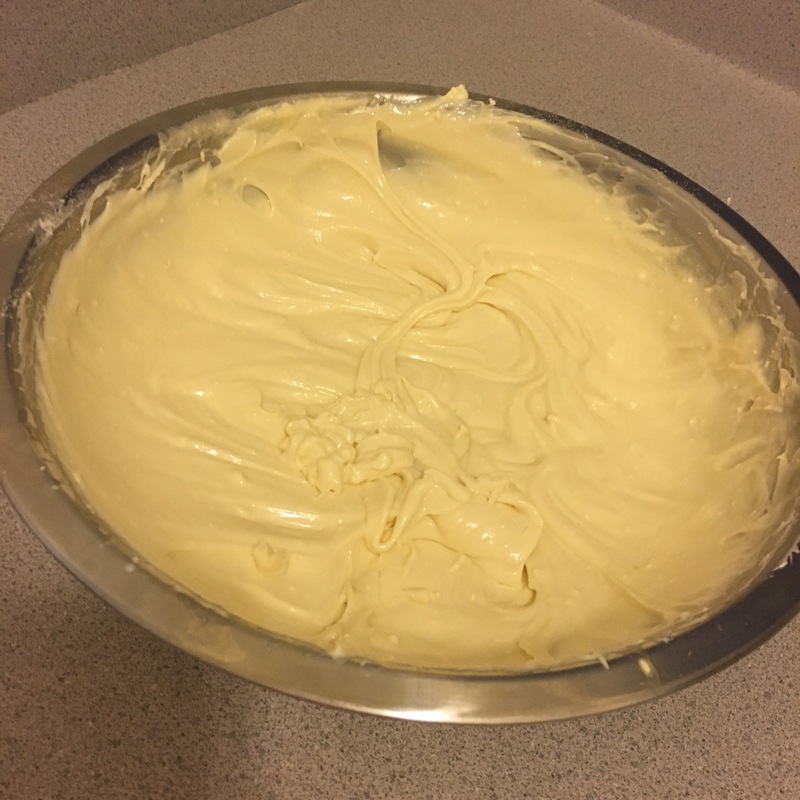 To make a traditional cheesecake, follow all of the same directions below except use a 9″ spring form pan and line the bottom with parchment paper. In a food processor or blender make crumbs our of gingersnap cookies until they look like bread crumbs. 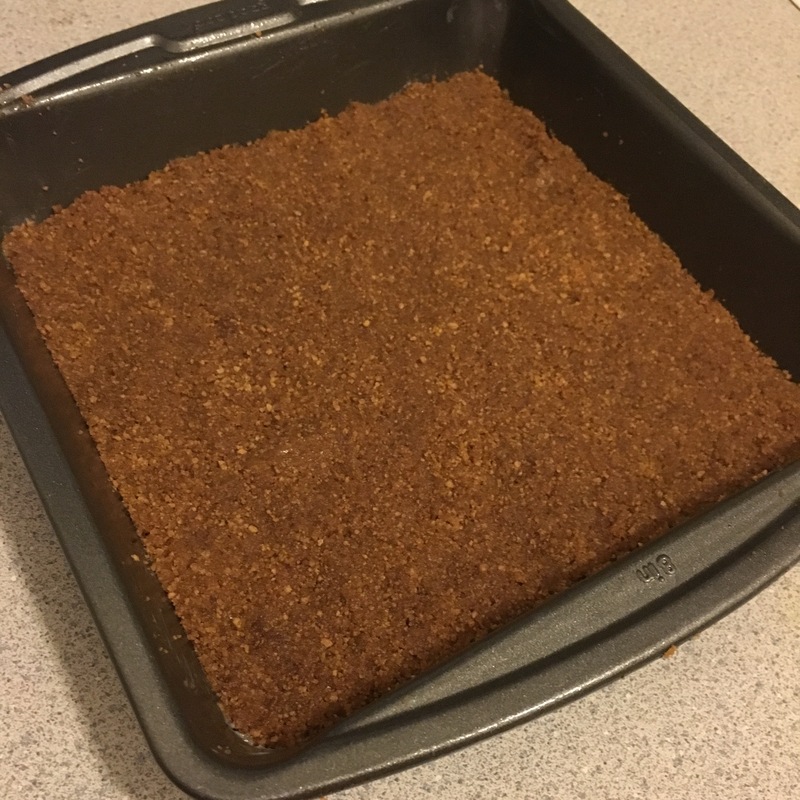 If you don’t have a blender or food processor, put cookies in a large ziplock bag and crush with the bottom of a pot or pan until they resemble bread crumbs. 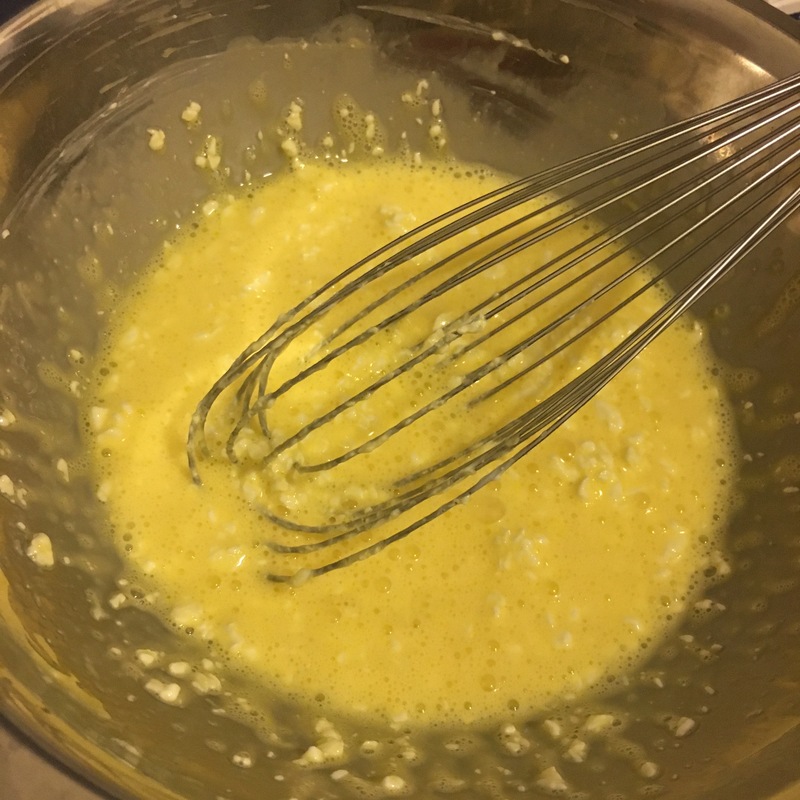 Mix melted butter and salt with crumbs, press into pan and place in freezer. In a large bowl, beat all four eggs. 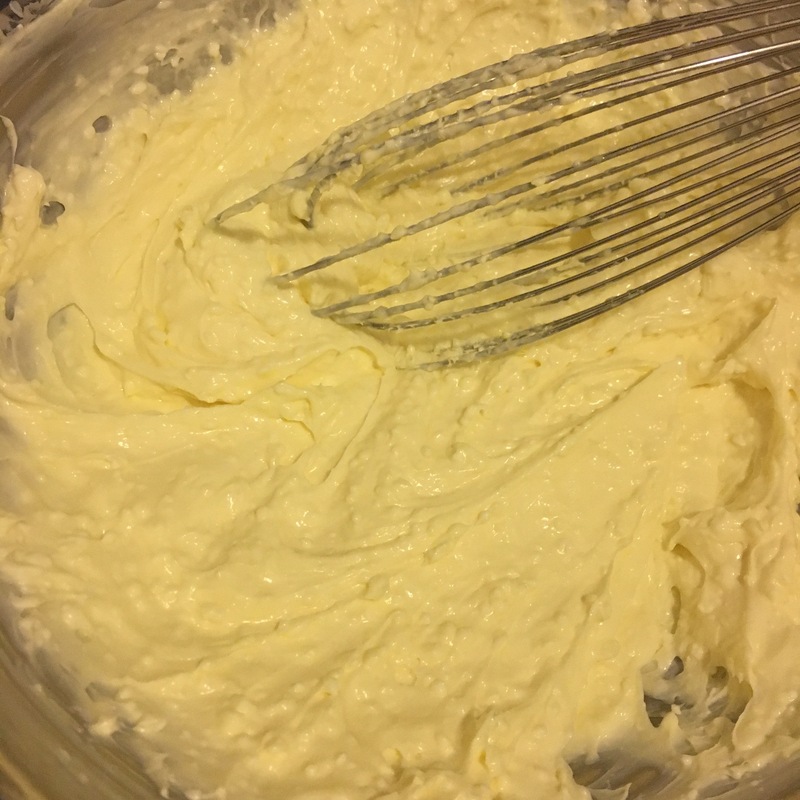 One at a time, beat cream cheese into eggs on medium speed. Add sugar, flour, vanilla and lemon juice and continue beating on medium speed until smooth. 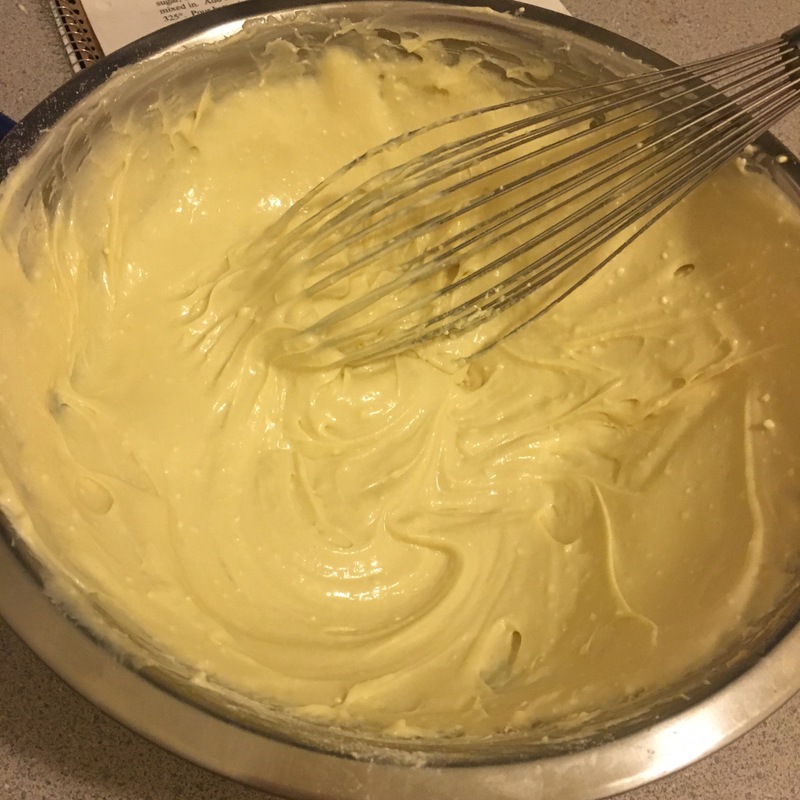 Add sour cream and mix in by hand with a silicone spatula. Turn down oven to 325 degrees. 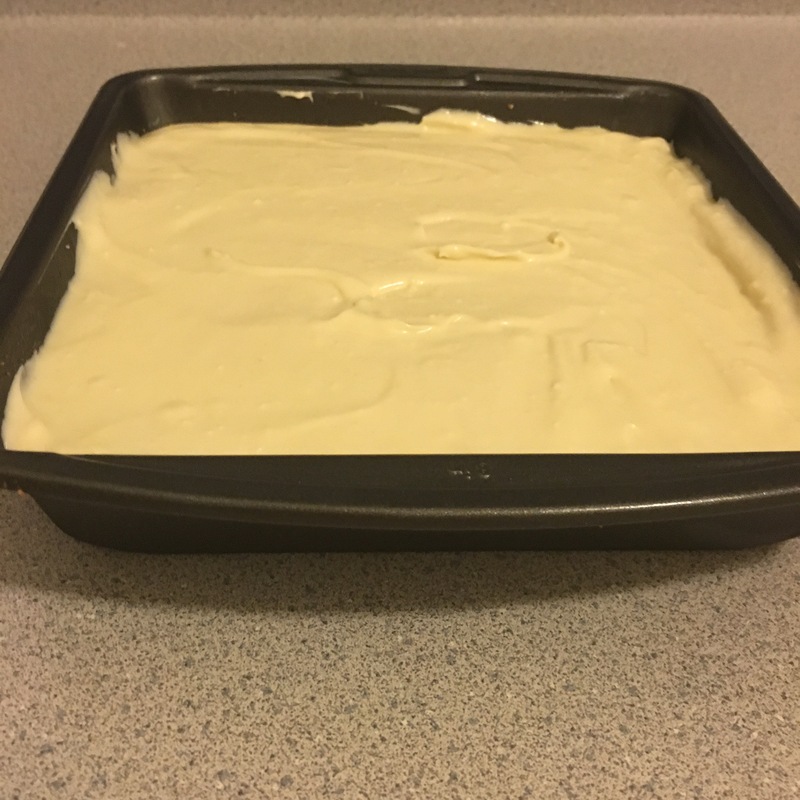 Pour cheesecake mixture into pan and bake for 1 hour. 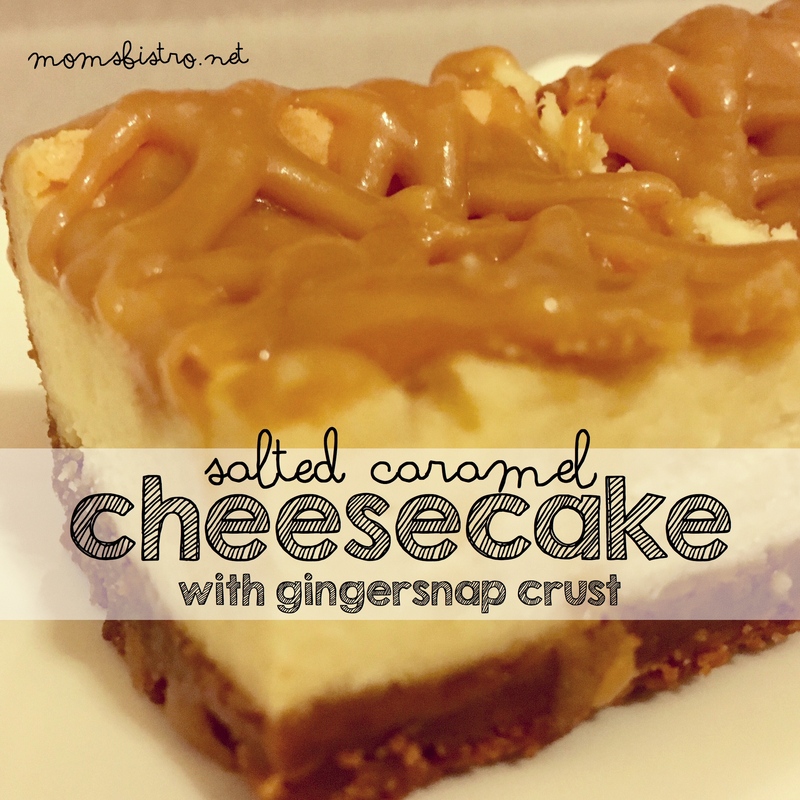 Once cooled, warm salted caramel sauce and drizzle over cheesecake. 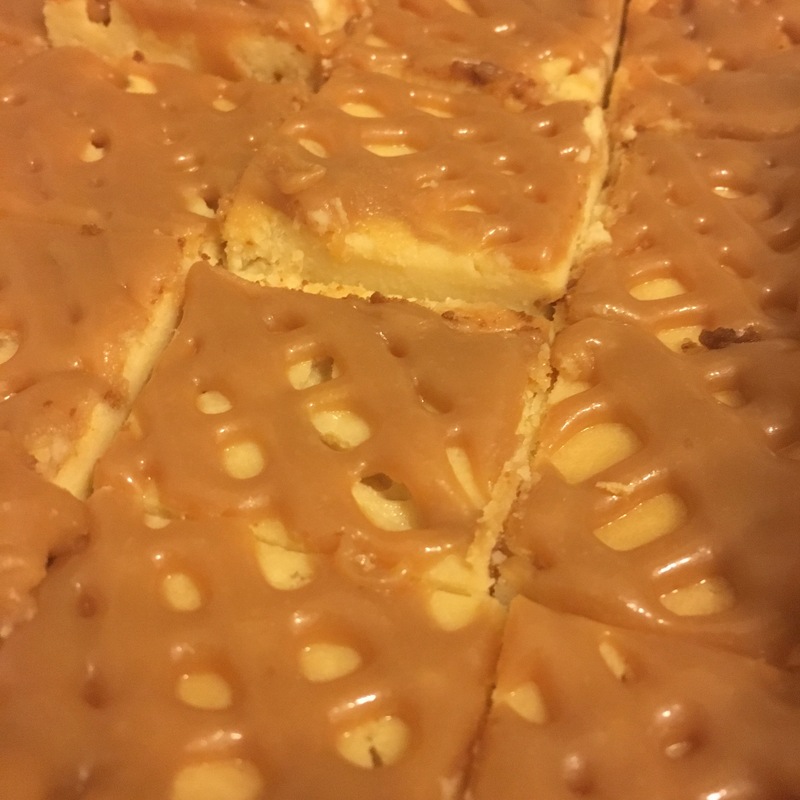 Slice into small bite-sized squares and serve with additional salted caramel sauce if desired. For the FREE Printable version of this Christmas Cheesecake, click the link below for a PDF version to add to your collection.